Colton Underwood visited the UPMC Children's Hospital of Pittsburgh. 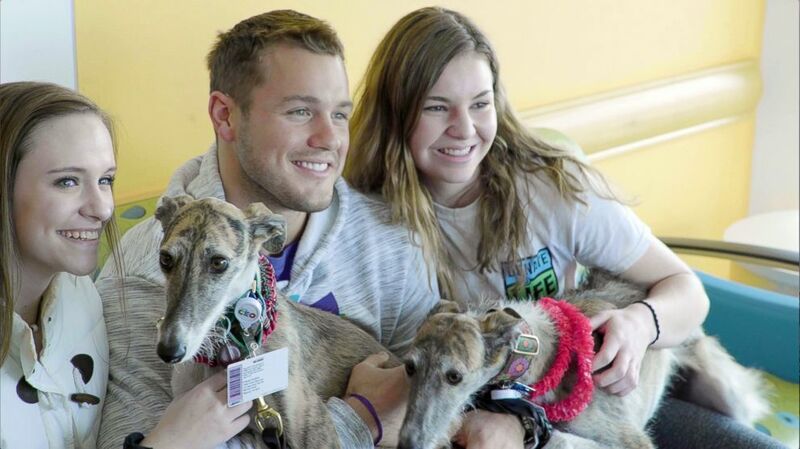 You may know Colton Underwood's reality TV life as the "Bachelor," but the former NFL player is also passionate about giving back. The journey came to an end for five different women vying for Colton's love. Ashley Iaconetti shares her thoughts on the portrayal of virginity this season. Underwood recently made some unforgettable memories with patients at the UPMC Children's Hospital of Pittsburgh when he visited with his foundation, the Colton Underwood Legacy Foundation. "I originally started my nonprofit and my philanthropy for my little cousin Harper, who was born with cystic fibrosis," Underwood shared in an interview with the hospital. "Throughout the years of running this nonprofit, the reason why I continue to do it is for the kids and the adults that I meet, the warriors that they are." "They're extremely inspirational. What they go through on a daily basis between medications, therapies and treatments, really puts things into perspective," he added. (Courtesy UPMC Children's Hospital of Pittsburgh) Bachelor Colton Underwood talks to a patient at UPMC Children's Hospital of Pittsburgh, Feb. 10, 2019. The former NFL player talked to patients about their different interests, like the "Harry Potter" franchise and their stuffed animals. He took group pictures with patients who are big "Bachelor" fans and with the hospital's therapy dogs. For 16-year-old Lauren Smakosz, the show proved to be a source of "motivation" during her time in the hospital for an intestinal obstruction. "I was stuck in bed and feeling crappy," Smakosv told "Good Morning America." "When it was time to start moving, it was motivation to get up and talk to the nurses, and have fun and be distracted." 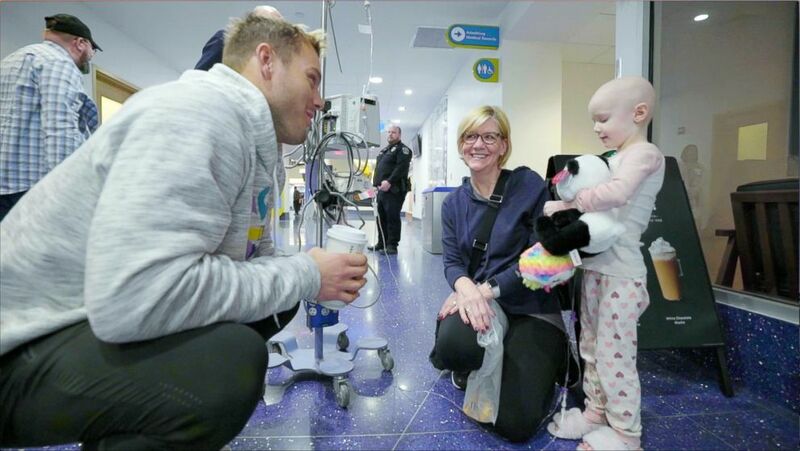 (Courtesy UPMC Children's Hospital of Pittsburgh) Bachelor Colton Underwood poses for pictures at UPMC Children's Hospital of Pittsburgh, Feb. 10, 2019. One of Smakosz's favorite part about meeting Colton was FaceTiming with his mother, who was babysitting his rescue dogs! "Everything he does on top of his daily life is motivational," Smakosv shared. "Just coming to the hospital brightened everyone's day. It motivates me to do more." For Underwood, he found that giving back is part of his purpose in life. "I wanted to make sure that anytime I had a platform, that I used it for the good," Underwood told UPMC Children's Hospital of Pittsburgh in an interview. "I want to inspire people to continue to give back. Find what they're passionate about, find somebody to help out, and just do good, do the right thing."